Periodically, we talk to a business operating in the UAV industry, for a catch-up and to see what’s happening in their area of the industry. 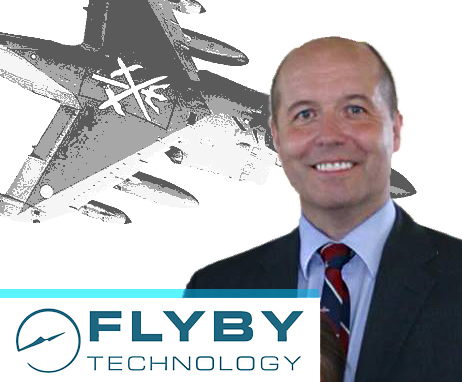 This time, we’re talking to ex-RAF member Jon Parker, Managing Director and Chief Examiner of Flyby Technology, who believes in a ‘miltiary-grade’ approach to training. DC: Jon, how long has Flyby been operating, and what inspired its inception? JP: “I had suffered a life-changing neck injury and associated heart problems in 2012 and as a consequence I thought I could not continue as an Airline Captain. While I was off work I looked at the skills I had in an attempt to find a solution to potentially losing my job. I had been a fighter pilot in the RAF and served with the Royal Navy too. After leaving I had held a senior position in the design team of the new aircraft carrier and I had set up a training systems design company to support Lockheed Martin. The idea dawned on me that I could become a professional drone pilot especially as I had been flying radio-controlled aircraft for over 30 years.I did a course with the then best drone training school”. “Whilst the instructor who performed the flight skills test was excellent I was not overly enamoured with the course. I suggested to them that I redesign it on their behalf and build a team and company to deliver it. They agreed and we got it all ready but it didn’t work out and we had to part company. I set up Flyby Technology the next day. Flyby Technology now enjoys an amazing reputation because we follow the philosophy that quality must be at the centre of everything we do. Everyone has heard of us and our expertise is admired and looked on jealously by our competitors. Our training follows the principles that are behind every successful pilot training system from military manned aviation. Our inspiration is always making sure that we are better tomorrow than we were today”. DC: The UAV Scene has changed enormously since the old days of EuroUSC pretty much having a monopoly on training. What do you think has been the biggest change in the way UAV Operators/Pilots are trained, from say, five years ago? JP: “The entry into the market of training schools that follow the training principles from manned aviation has added a level of professionalism that the industry needs. At the same time however there has been a race to the bottom in terms of price. This has been brought about by some NQEs that might not understand or appreciate the core principles of pilot training and attempt to compete with those who do. They can only do so on price and this means there is downward pressure on other NQEs. Some of them are tempted to reduce quality to remain competitive. Thankfully we have been able to resist this temptation and stay true to our principles of providing what we consider to be the best training in the World”. “The other changes are from NQEs who run online training facilities. This is (in our opinion) a real reduction in training quality. There is a place for e-learning but it has been proven time and again that for long-term retention of concepts and facts it is best taught in a personal facilitative style. That requires an instructional skill. That skill is hard to come by and some NQEs use the provision of online courses as a way to further reduce their costs and allow an even lower price point. We think the losers in this race are the future pilots who get ever-poorer training and stripped out support”. “In terms of the future? I think drones will be making ever more use of automation and automatic flight and the true experts in human-machine interface problems are training pilots from manned aviation. There are so many human factors issues with automatic flight and it needs a deep understanding of the solutions. Now more than ever we need expertise from experienced pilot instructors. That puts us at the centre of the action and our graduates more highly respected”. DC: What (if any) new things have you got on the Horizon for Flyby? JP: “We are developing drones, processes and procedures for a number of technology companies. We are also helping large defence contractors develop the next generation of commercial drones and providing consultancy for drone taxi design teams. We are also developing new training support products and regulatory compliance services. This is a specialist expertise, only possible because of the depth of training skill and aviation knowledge we enjoy”. DC: Do you still fly commercially yourself? JP: “As chief Examiner at Flyby I am flying in a commercial capacity regularly, however I don’t think it would be fair to compete with our customers for other commercial work.We are deep specialists in training science and pilot training. Our place in the industry is to deliver it the best-trained pilots, giving a professional approach that will help it to build strong roots during the teething phase that we are in right now”. DC: Does Flyby Technology training specialise in any particular area? What’s your own specialist area of expertise? JP: “It’s the quality of training itself that we specialise in. We feel this is key to the success of our graduates. We do have niche areas of expertise within the Flyby team, but we have not developed specialist courses yet. We offer excellent consultancy to a number of large companies developing the drones of the future. We enjoy being able to attract the best instructors who have decades of relevant training delivery experience. Just ask any graduate from any of our courses how they feel about the relationship they build with their instructors”. DC: Finally, you can only nominate ONE! 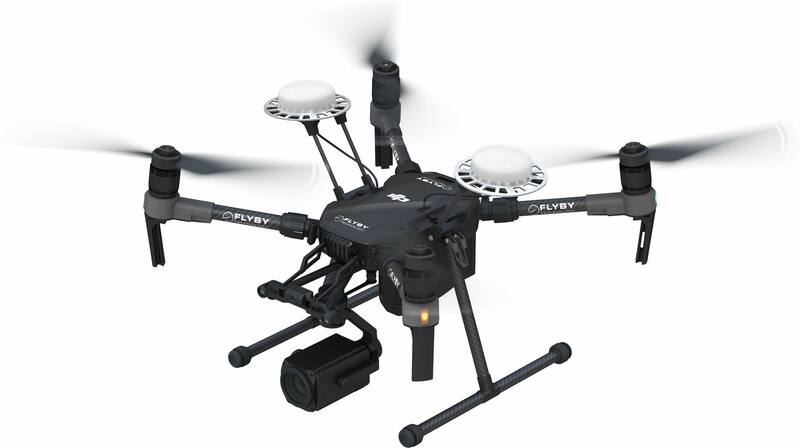 What should these flying machines be called: UAV, RPAS, DRONE, Quadcopter, ROV, or UAS? (And why?). JP: ” ‘Drone’ all the way….The ‘D’ word was disliked because of the negative connotations but I think we should face that head on. There are far more positive uses for drones these days and in time people will be comfortable with the word. Especially once they gain the benefits of them personally”. All views expressed in this article are the views of the business and/or individual in focus. DroneCard.co.uk and associated branding do not take any responsibility for liability of content, advice, claims, defamation, or wrongdoing, or misplacing of information within this article. However, if you feel we have displayed incorrect information and would like it reviewed, please get in touch at info@dronecard.co.uk and we’ll see what we can do.